The town of Bardejov is located in north-eastern Slovakia, on a floodplain terrace of the river Topľa near the Polish border. Due to its proximity to the major trade route that stretches across the Carpathian Mountains, from Hungary into Poland, Bardejov was able to develop into an important medieval town. The town’s surviving urban plan, with a regular division of streets around a spacious market square, is an indication of European civilization from the 13th to 14th centuries. Burghers’ houses, dating from the first half of the 15th century, surround three sides of the square and document the highly developed burgess culture. The fourth side of the square is closed by the Roman Catholic Church of St. Giles, a three-naved Gothic basilica with a precious collection of eleven late Gothic altars. The Renaissance town hall occupies the centre of the square. The historic core of the town is encircled by the fortification system which was, at the time of its construction, one of the most advanced in Central Europe. The area of the town’s historic core was declared a Town Conservation Reserve in 1950. Bardejov also has a well-preserved small Jewish suburb. This quarter, developed over the 18th century around a synagogue (1725-1747), still contains a unique set of surviving buildings from that era: a kosher slaughter house, some ritual baths, and a meeting building (Beth Hamidrash). Bardejov provides exceptionally well-preserved evidence of the economic and social structure of trading towns in medieval Central Europe. Its surviving building stock represents a developed burgess culture and Jewish community, thus illustrating a multi-national and multi-cultural society. Criterion (iii): The fortified town of Bardejov provides exceptionally well-preserved evidence of the economic and social structure of trading towns in medieval Central Europe. Criterion (iv): The plan, buildings and fortifications of Bardejov illustrate the urban complex that developed in Central Europe in the Middle Ages along the great trade routes of the period. The delimitation and size of the property are appropriate and all the important elements necessary to convey the Outstanding Universal Value of the property are contained within its boundaries. The historic town core has retained the key characteristic attributes of a medieval trade town especially with regards to its urban plan, its original building lot divisions (parcels), its central square, its streets, most of its open spaces, public buildings, fortifications, and its townscape. Outside the fortifications, the Jewish suburb survives relatively intact with its original layout and component parts such as the synagogue, baths, and slaughter house. The town-planning structures of the property are stabilized but there is, as in all living towns, a risk of development pressures, especially in the buffer zone. Bardejov Town Conservation Reserve has preserved a high level of authenticity. Despite several major fires, mainly in the 16th and 17th centuries, its medieval urban form has been retained. Moreover, the housing stock has survived with no major demolitions or additions. The dynamics of the town’s roof landscape, destroyed in the last fire, has been restored by the systematic reconstructions which begun after 1967. Although some buildings have undergone alterations, most have retained their authentic interiors. Traditional uses for burghers’ houses have also been retained or restored with business and service functions combined with residential use on the upper floors. The buildings, with their original materials, openings, decorations, and fittings, are well preserved. The Jewish suburb has also retained high authenticity, as reflected in its early 18th century road network, urban plots, buildings and open spaces. Parts of the fortifications have been demolished or, in the case of the moat, filled in. However, more than half of the fortifications are still intact and well maintained, and some of the towers are still in use. A special value of the property lies in its present-day vitality and contemporary activities which do not compromise the historic substance, yet it needs to face the challenge of finding an appropriate use for the Jewish suburb as the town’s Jewish population has diminished. The 24-ha property has the highest form of monument protection enabled by the national legislation. The Slovak Republic has adopted the special Act No. 176/2002 Coll. on the protection and development of the town of Bardejov that refers to the whole property. The Ministry of Culture and the Monuments Board of the Slovak Republic have the overall responsibility for the property’s protection. The property‘s protection is legislatively secured by the provisions of the Act No. 49/2002 Coll. 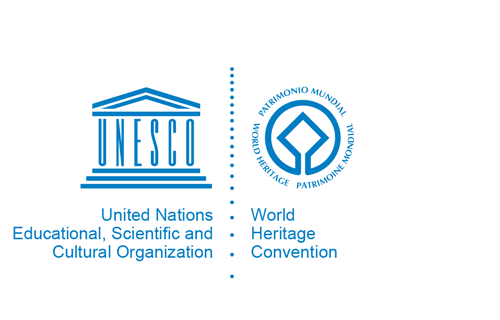 on the protection of monuments and historic sites that refers to the protection of all cultural monuments and protected areas within the World Heritage property. In the sense of this act, the historic core of the town has been declared a town conservation reserve and most of the buildings, in both the historic centre and the Jewish suburb, are protected as national cultural monuments. The property’s protection is strengthened by the declared buffer zone of the town conservation reserve that covers 13 ha and corresponds with the World Heritage buffer zone. Property ownership includes a variety of religious institutions (such as Catholic, Protestant and Greek-Orthodox churches and the Central Union of the Jewish Religious Communities in Slovakia), government (municipal and State), and private individuals. A regular system of monitoring has been established according to which the Outstanding Universal Value of the property is assessed and monitored, whilst measures for avoiding identified threats are taken. All planned activities within the property must comply with the legally binding Principles of Conservation of Bardejov Town Conservation Reserve (2009) and are liable to strict assessment of the project documentation by the regional monuments office. The Principles of Conservation are respected by the provisions of the urban planning documentation as well as by the property’s management plan. The management system is updated in order to create an efficient and coherent system of the property management. Bardejov Town Council conducts the property management in close cooperation with the local representative of the respective national authority, Regional Monuments Board Prešov.